Choosing the wine to accompany your dinner can be a difficult decision. Do you go with the old favourite, and hope it will enhance the variety of meals about to be served? Or should you order by the glass, to ensure taste and bouquet gives your meal that extra zing? When it comes to white meat, most people think white wine; but it’s not always the best combination. In this article, I’ll explain which wines pair well with different poultry. You’ll also learn about using the method of cooking as a wine pairing pointer. So, the quick tip is this: the lighter the meat, the lighter the wine. Both in colour and taste. This certainly holds true for the white meat poultry. As you move through the flavour range of the white meat poultry, you can become bolder in your choice of wine, progressing to a rosé. Chicken – A light-flavoured meat with a medium texture. Poussin – Like a small chicken, but with a slightly richer flavour and usually prepared like quail. Quail – A deeper, more full-bodied flavour, though very tender. It is usually sweet and nutty on the tongue. Turkey – Lightly flavoured, though with a strong texture. Pigeon – A succulent, earthy meat, yet with a delicate texture. Pheasant – With pink infused white meat, partridge is a delicate bird with a fruitier taste than chicken. Partridge – A slightly courser texture than pheasant or pigeon, yet with the same earthiness of darker meats. Duck – A stronger, more gamey flavour. An assertive taste, which can be like pork depending on how it is prepared. Turkey – The dark meat from the turkey is rich and strongly textured, with butter and nut undertones. Goose – Very similar to turkey, but with more dark meat. Ideal for a deeper, more fulfilling red. One of the favourite ways to prepare fowl, especially chicken and quail (and, of course, turkey). The meat will be tender, but preserve its intensity of flavour. 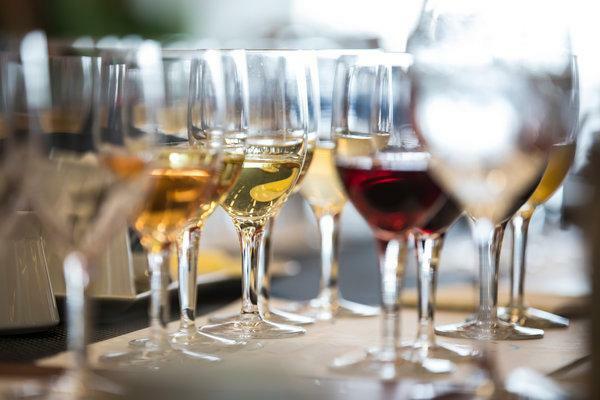 Richer white wines such as Chardonnay pair well, as do crisp rosés. You may also try a light-bodied red such as Pinot Noir or Grenache. Poaching poultry preserves moisture and texture within the meat. However, it also removes some of the depth of flavour. This begs for a light white, like Chenin Blanc. Think of fried meat and you think of bubbling oil in the pan. Replicate those bubbles with a sparkling wine, champagne, or Cava. When meat is sautéed, it absorbs the flavours of the sauce. You should, therefore, learn how to pair wines with sauces. Barbecuing gives the meat a smoky edge, and so you could move to richer, oaky wines – reds like Zinfandel, Cabernet, and Malbec. Often roasted or poached and then chilled, cold poultry pairs perfectly with light whites – Albariño, Pinot, Verdejo, and Chardonnay. It’s common to order a whole bottle of wine for a table of four. Often, you will consume anther before the night is over. But with four different dishes, the same wine for all is unlikely to enhance all meals served. You may be compromising on the taste sensation. Instead, why not order a glass of wine per guest that complements each guest’s meal, adding just that little extra touch of luxury to the evening? Then order a bottle of dessert wine for all to share and enjoy as your evening relaxes towards its denouement? If you are unsure about which is the best wine to pair with your meal, never be afraid to ask the maître d’ for their recommendation – you may be surprised to discover the difference it makes to your dining experience.